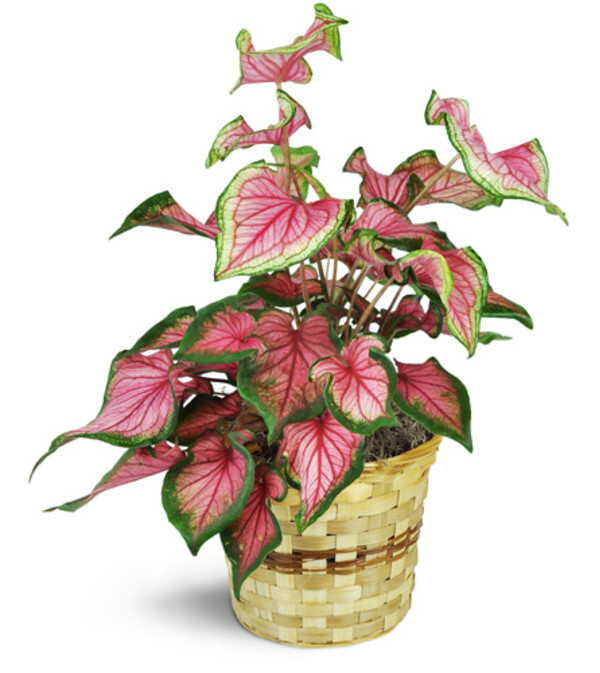 A lovely variegated caladium plant is a perfect gift for home or office. With pink-tinged leaves, it's a breath of fresh air. 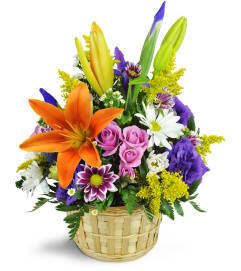 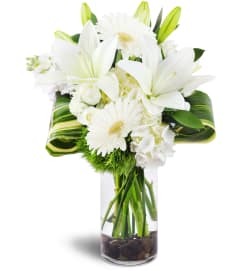 A caladium plant is arranged in a lovely bamboo basket, ready to be sent for your special occasion.